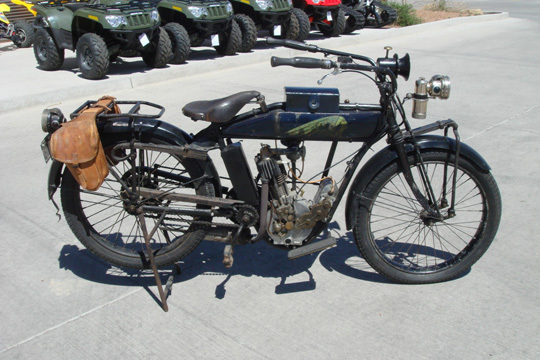 Here’s a piece of motorcycle history up for auction on eBay. 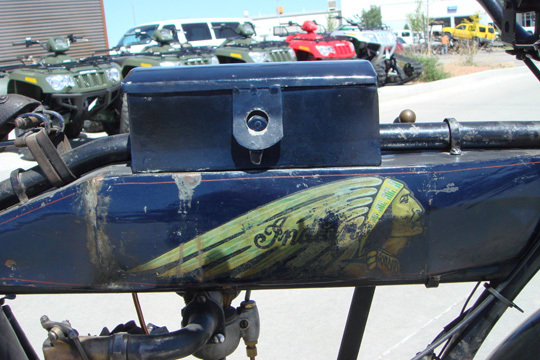 The headlight runs on gas. 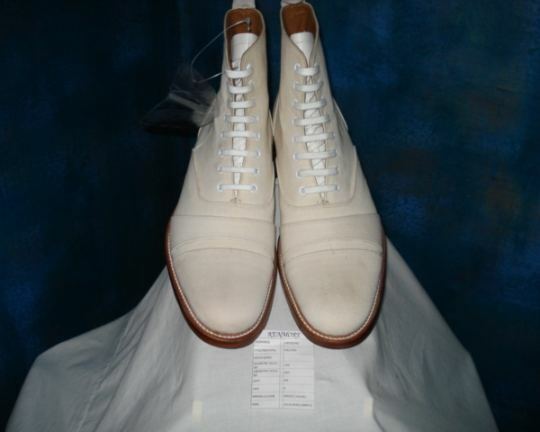 These white canvas boots from Grenson showed up on ebay this last week, coincidentally right after my recent cricket post. Of course they’re not in my size. 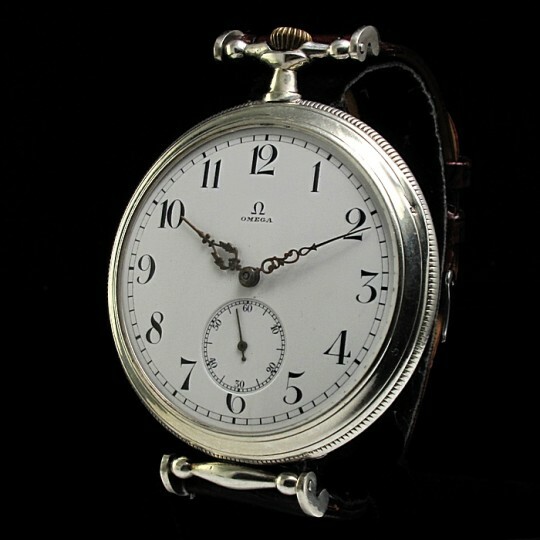 I came across these interesting early 20th century Omega watches a few weeks ago on ebay, and it was fun to watch the auctions where prices went as high as $1150. Background reading on Omega SA. 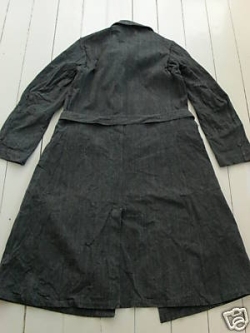 A few interesting finds from eBay. 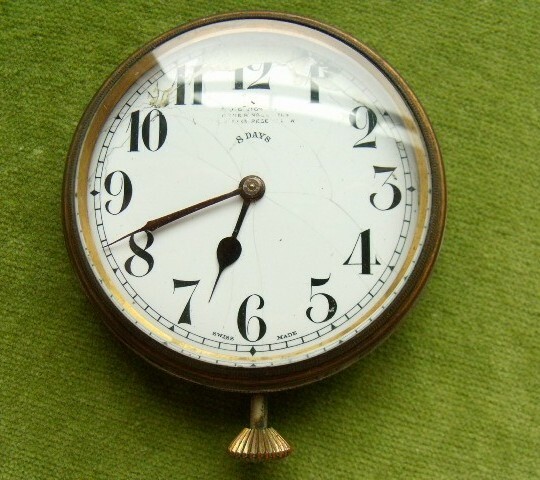 I’ve refrained from buying any for myself – not because they’re pointless, but because I’m worried I’d turn myself into a collector of old, non functioning watches. 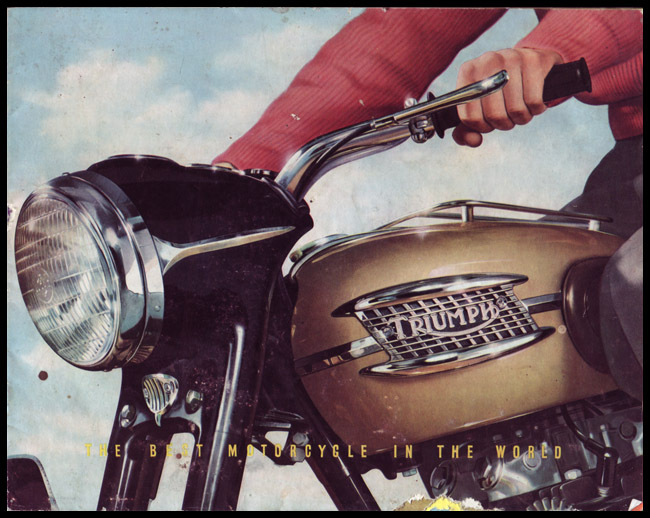 I just found a seller who has a set of neat ad brochures from Triumph Motorcycles up for auction (here and here). 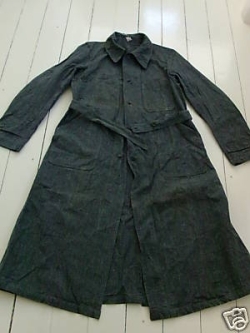 Check out the pockets and fabric on this coat (supposedly from the 1940’s?). The only thing that would have made this more awesome would have been riveted buttons instead of the plastic ones.